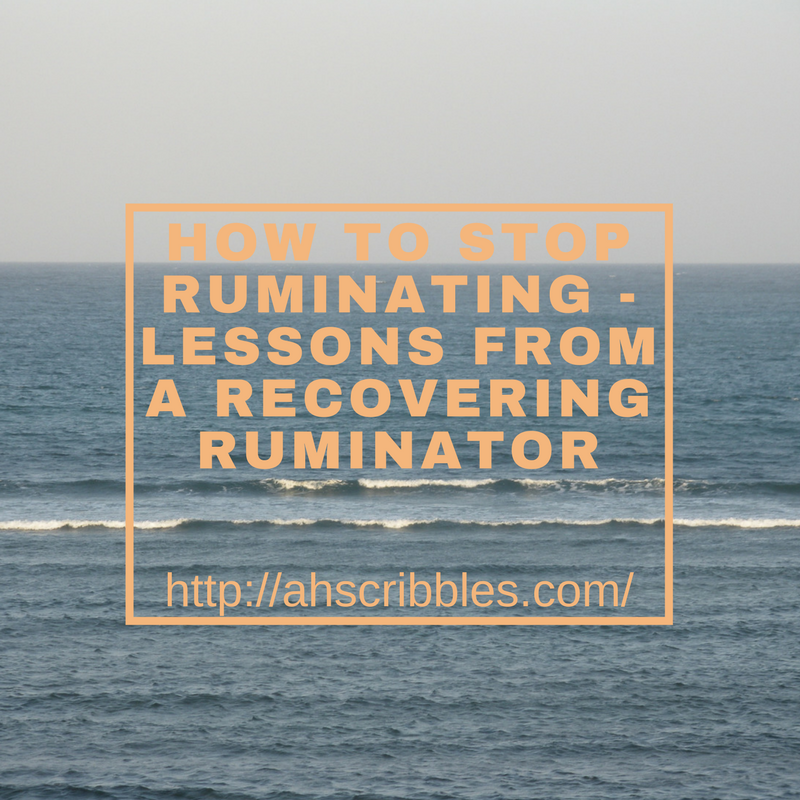 5 tips that helped me stop my chronic rumination. Of course, at the time I didn’t think it was a problem…. until it became a problem. But then I kept on mentioning the scene over and over until they were annoyed and stopped me. Basically, they were already over it, why did I keep on bringing it up? That was when I realized I had a problem. 1. The 5 minute rule. Give yourself 5 minutes to whine about it. Whether you’re complaining to a friend or journaling about it, set some boundaries around how long you’ll let that thought play around in your mind. This strategy helps with Analysis Paralysis. Give yourself time to process and digest what just happened, extract whatever lessons you learned from it, and after that, don’t think about it again. Oh God! Here we go. My personal takeaway was more along the “Backup your work” lesson, but you get the picture…Sometimes someone else can change your perspective so you break out of the mental loop. 3. Do something else. No, no, don’t think about doing something else. Physically get up and do something else. Whether it’s going out for a run or cleaning the room or engaging in some other activity. This is more effective when the action you’re taking is demanding enough to engage many of your senses and pushes you into a state of flow so you really can’t spare any cognitive effort thinking about that thing. 4. Remember that people don’t think about you as much as you think they think about you. There’s as portion of rumination that starts with us thinking about other people’s opinions about us. “I did something stupid and now all those people will think I’m stupid.” However, recognize that “those people” don’t really think about you that much. They have their own problems, and your life problems are the least of their concerns. 5. Notice when you’re doing it. Build enough self-awareness in your life to actually notice when you’re stuck in a mental loop. Some people wear bracelets or have post-its to remind them to provide visual reminders to stop and think, “Am I stuck in a mental loop? Is it helping me? What am I doing?” I personally haven’t tried that but it could work for you. Last but not least, understand it’s a habit, and bad habits are not easy to break once they’re entrenched in your life. All you have to do is monitor yourself and take positive steps to make small changes. What are your thoughts on the topic? Tweet me @ahechoes to let me know. If you like this post, support the work by sharing it with your friends on facebook. Get my ebook “Mine your inner resources” at a discounted price in Kindle form or as PDF.